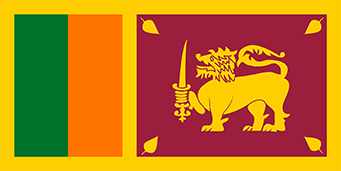 Visitors to Sri Lanka are required to obtain Electronic Travel Authorization (ETA) for issuance of visa. The ETA approval is required even if the traveler carries a valid visa to Sri Lanka including Six Months, One Year or Five Year Visas. On receipt of the ETA approval which is obtained by making the ETA processing fee (US$ 30/- for US passport holders), together with 3. i – vi below, the visitor can obtain the visa in the following manner. A valid, signed US passport. The passport must have at least 6 months remaining after the completion of your stay in Sri Lanka, and contain at least one blank visa page. Your sponsor in Sri Lanka must send a fax to the Embassy of Sri Lanka, stating the name of the applicant, confirming the business trip. Fax must include company address and type of business. For stay over 7 days, the letter must be sent via the Immigration Department in Colombo. South Asian Association for Regional Cooperation (SAARC) Countries. All Other Countries.